The Tennessee River flows through Chattanooga, along with several other waterways, attracting thousands of recreational visitors annually. With hundreds of boats and personal watercrafts floating around, accidents are bound to happen. This is especially true when boat operators are not adequately trained or prepared. When a tragic collision or tip-over results in severe injuries, the personal injury law firm of Wagner & Wagner Attorneys at Law is here to pick up the pieces. Our experienced Chattanooga boating accident attorneys help victims of boat and personal watercraft accidents get their lives back on track. A boating accident claim may be based on a variety of circumstances. The law states that boaters have a duty to operate their watercrafts with a reasonable amount of care and adherence to safety codes. If your injuries were caused by a negligent operate or boater, you may be able to pursue a personal injury claim. As such, if you rented a watercraft from a recreational shop, they have the duty to provide you with safe equipment. When they fail to do so, you may file a legal action against that company. If the accident was a result of a defective boat part, you may have a product liability claim against the product manufacturer, as the manufacturer owes a duty of care to consumers to sell safe and reliable products. 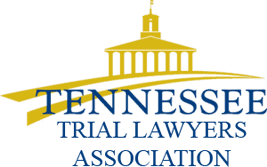 Our professional Chattanooga boating accident attorneys are proud of the work we have done for injured boaters and their families. We like to send a message that careless behavior will not be tolerated on our waterways. 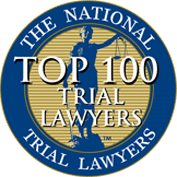 The lawyers of Wagner & Wagner have helped area residents for more than 70 years, and we would be very grateful if you choose us to help you overcome this difficult challenge. Our goal is to make sure your family is taken care of financially and able to focus on healing. If you or a family member has been injured in a boating accident on any body of water, let Wagner & Wagner Attorneys at Law fight to get the compensation you deserve. To learn more about your rights after a boating accident, please contact our office at 423.799.3532. 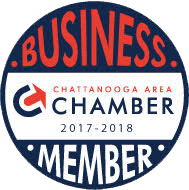 We help injury victims in Chattanooga and Cleveland, TN, in North Georgia, and all the surrounding counties.